Comments Off on What Are Closing Costs? When you’re ready to purchase home, it’s necessary to have some cash assets ready to cover the expenses that cannot be added to your mortgage. A portion of these expenses that you’ll need to pay in cash are the closing costs. While many first time home buyers may expect from watching real estate shows that they can convince the seller to cover the out-of-pocket costs, this is not always the case. It’s essential that all buyers have a general understanding of what the various closing costs are so they can be prepared. Typically, it’s a good idea for buyers to save at least 3% to 6% of the purchase price of a home for closing. Below, we’ve outlined some of the typical closing costs you’ll be responsible for paying only once, when you close on your house. Non-recurring closing costs are those that you will pay once when you close upon your home, but you will not have to worry about them again until you choose to make another purchase. Home inspection – This is one of the first closing costs you will have to pay as a buyer. If you make an offer on a home conditional upon a satisfying inspection, you typically have under a week from the offer date to have it completed. This is a cost you as a buyer have to pay even if you choose to withdraw your offer because you’re not happy with the results of an inspection. Title insurance – This is insurance that compensates for any losses that are a result of a defective title or liens on the property that should have been revealed at the time of purchases. Losses covered include any legal fees paid to rectify related issues. Title insurance can be taken in lieu of a title search which is much more pricey and in many cases, unnecessary. A real estate lawyer will advise buyers if a title search is needed rather than title insurance. Appraisal fee – Before a mortgage lender will provide you a loan, they complete a property appraisal to ensure that your home is worth at least as much as they’re going to lend you. Often today this can be completed without surveying the property as banks can look at recent valuations in the area online, but a fee does still apply and the cost can vary depending upon the appraisal method used. Attorney fees – Your attorney is the one that processes all of the necessary paperwork, registers the deed, deals with the seller’s lawyer, processes information for the bank, and makes sure all necessary money gets to the appropriate bodies. For all this, a real estate lawyer charges a flat fee for his or her services. Escrow fees – Some mortgage lenders may require that you put the costs related to the mortgage payment, property taxes and utilities into an account to be paid by them on a monthly basis. This helps them ensure that their investment is protected because payments are made. At closing, you may be required to deposit escrow fees for one or more months of expenses. Land transfer fees – Most cities or counties (or both) require that you pay a fee to ‘transfer’ the land from the seller to the buyer. The specific costs and requirements vary greatly across the country but typically apply. Various administrative fees – As a buyer you may need to pay the fees to record the sale, fees for document preparation, and any charges that surface from the need to use wire transfer or a courier to get the transaction completed. Should You Spend The Full Mortgage Amount You’re Approved For? Comments Off on Should You Spend The Full Mortgage Amount You’re Approved For? When you’ve gotten a pre-approval from your mortgage lender, you’re ready to start shopping for a home. While your pre-approval tells you how much the bank thinks you can afford, many first time buyers in particular wonder if they should actually spend as much as they’ve been approved for. The first thing to note is that a bank takes your Gross Debt Ratio and Total Debt Ratio into consideration when determining how much money they will lend you. Theoretically, you can afford to spend what you’ve been pre-approved for, but there are some other things you should think about when determining if you want to spend it all. 1. Would you need to make cutbacks? – Even if your full mortgage amount is under 40% in your total debt ratio, there are many other expenses not calculated by the bank. Take a look at all of your other fixed and variable expenses and determine if you’d need to make cutbacks to live comfortably with that mortgage amount. Remember, your expenses can include things like your grocery bill, the cost of children’s activities, and eating out. 2. Are you willing to change your lifestyle? – If you would need to make cutbacks to spend the full mortgage amount, take a look at what you would be willing to give up, if anything. For some, it may be worth the sacrifice to get a “better” home. For others, it may be preferable to spend less on the home and maintain status quo in other aspects of life. 3. Are your expenses likely to change? 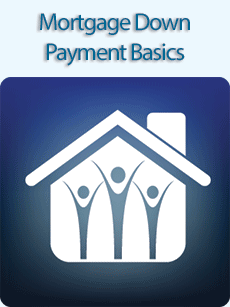 – Remember, your pre-approval amount is based on your current income level and debts. It might be affordable today, but if you have intentions to leave your job or take on new expenses, the affordability may change quickly. 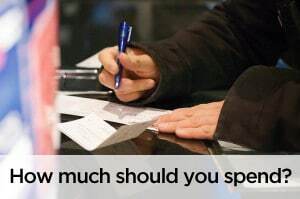 Once you’ve considered all of the above factors, it’s up to you to determine how much you’re comfortable spending. Don’t feel pressure to spend it all, but if that number is a comfortable one, then getting shopping for a property of that value! Comments Off on Can You Change Jobs Before Closing on Your Home? Some of life’s biggest changes occur at the same time, even when you don’t plan it that way. It may just happen that you get a job offer that could greatly benefit your career with your closing date looming just weeks ahead. While your first instinct may be to reply with an ecstatic “YES!”; you do need to stop and think before you make that commitment because you’re about to take on a major financial investment. The choice may be right for you, but you’ve got to consider a few things first. 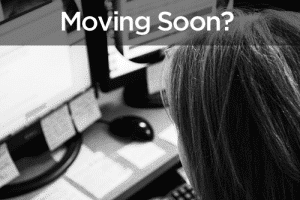 How Will Your Job Change Impact Your Mortgage Loan? If your income level will remain the same at your new job. If it’s higher, your mortgage may not be impacted; if it’s lower, it has the potential to change what you can afford. If you’ll be working in the same industry as the job(s) you’ve held before. Your mortgage lender may consider it a risky move and it could potentially compromise your mortgage. If there’s going to be a probationary period at your new job that will still be in place when you close, because then the chances are much greater that you’ll lose it since there’s zero job security. The length of time that you’ll be at your new job before your mortgage closing date. If you’ve switched jobs 90 days before you close on your home, then you may have enough stability on your side. Whether your high ratio mortgage is insured or backed up by a program or grant. Guidelines may differ, but some programs that allow you to make a low or no down payment on your mortgage may choose to run a credit report and revisit your file at any time. You need to tell your lender or mortgage broker about your job change, and if this other program looks into it and don’t like what they see, they could refuse to back your loan. Your loan approval amount. If you’ve got a home loan that’s far less than what you can afford (according to the bank’s assessment) and are a two income household, it may be that your loan approval would not change. Your debt ratios. Regardless, your lender would recalculate your Gross Debt Ratio and Total Debt Ratio based on your new income, or based on the other household income if yours for some reason cannot be used. Keep in mind that everyone has different circumstances and there can be compensating factors, so before you decline or accept a job offer, we can help give you guidance so that you can make an informed decision. One of the biggest concerns of first time home buyers when they’re looking at getting their first mortgage is just how much money they’re going to require. Qualifying for a mortgage is the first step in the process, but it is important to understand if you will need cash for your purchase and if so, how much. Understanding what you’ll be responsible for paying for in cash is good information to have before you even submit a mortgage application. The specific costs can vary depending upon the state that you live in, the cost of your home and to other factors, but here are some basic things to consider that should be considered. 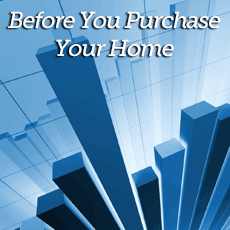 In order to qualify for a mortgage, you will likely have to produce a down payment. The specific amount required for a down payment depends upon state guidelines as well as the type of loan. FHA mortgage loans offer the competitive down payment options for those who qualify, requiring under 3.5% of the purchase price down. In addition to requiring money for your mortgage down payment, you’ll need to save money for closing costs. This is something that you may be able to get paid by the seller of your new home, but as this is not something that is guaranteed, it is wise to have some money on hand to pay for all of the costs of purchasing a home that cannot be rolled into your mortgage. If you present a mortgage lender an offer that does not include closing costs covered by the seller, often as a first time home buyer, you are required to prove that you have the money to cover them. Depending on your local market environment and location, 3% to 6% of the purchase price may be a fair estimate for your closing costs, and somewhere in this range is what a mortgage lender will typically need to confirm. Since the location, cost and your unique financial and credit attributes can affect what you will need to put down when you purchase a home, we can help you better understand the estimated amount that you’ll need to pay when buying a home. More importantly, we can help you understand and target the home purchase price that suits your specific needs an finances so you can be prepared in advance to make your first home purchase! If you are independently wealthy or a lottery winner you probably buy a house with cash. For the rest of us, you can still buy a home to enjoy for the rest of your life. The most common way to do this is to work with a lender to pay for this major purchase over a period of fifteen to thirty years. Home lending is one of the finest American institutions. Lenders make home ownership possible for ordinary people of modest means to buy their homes. Banks and finance companies have come under criticism in recent years, and they have always been the focus of resentments from consumers. However, even when the complaints are justified, lenders provide an opportunity for home ownership that would not otherwise exist. Getting a loan for real estate is a long and complicated process. There are a few things that lenders do to help consumers. It is in the interest of mortgage originators to help you buy a home; after all, lending is their business. Beyond providing the finances, lenders can assist you in numerous ways. The first step in getting a loan application accepted by a bank is to get pre-qualified. 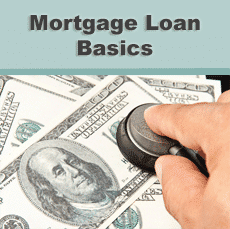 Pre-qualification is getting your documents together and reviewed by a lender. Once this simple process is complete, you can talk to your bank about pre-approval, a more rigorous look at whether you can repay a loan. Lenders want to help you get pre-approved because it demonstrates your potential, not just to them, but also to the whole market. Sellers and their Realtors will take you seriously once you are pre-approved and lenders are glad to help with that. What Credit agencies think of you comes down to the events in your life that lenders report. For lenders, your credit reports with the three main reporting agencies and your FICO score are the determinants of whether you can borrow money and how much interest you have to pay to do it. Even if a lender declines to make a loan to you, they will usually be happy to tell you how to improve your score and how you can get positioned to reapply. Options for homebuyers include the term length, usually either fifteen or thirty years. You will pay monthly for longer termed loan, but a shorter repayment term will cost less overall. You have some freedom in closing costs because lenders can trade mortgage points as part of the cost. The more points you pay at closing, the cheaper the loan At the other extreme, your lender can give you points to make the purchase more affordable upfront. There are more elaborate options if you are in unusual circumstances. For example, buying a bargain that needs immediate refurbishment. 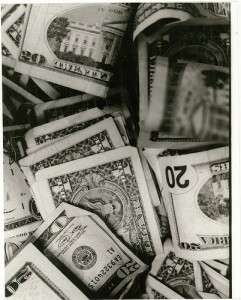 The key is to remember that lenders are in the business of making loans. There is unlikely to be a situation that they cannot work with, or that they have not seen before. Your mortgage broker or banker will be happy to explore the possibilities with you. If you are considering your home-buying options talk to a lender with the confidence that they want you to succeed, you will be glad you did. Depreciation is one of the most useful tools that you can use to generate wealth out of your real estate investments. Sometimes the value of an investment hides in the details of the paperwork or the accounting records. So it is with this way to write off the costs of owning and operating a rental property. Depreciation is something that requires expert advice. So before your attempt to understand how depreciation will alter the calculation of your income, make sure that you discuss it with your tax professional. Owning a property to live in and enjoy as a private citizen, is an excellent objective. However, that does not automatically make it an investment. Regardless of how much equity you have, your home is a cost. On the other hand, real estate that brings in rental income is a substantial investment. Deductions do not apply to your residence; they are for properties you own as investments. You can deduct many of the ownership costs, but depreciation means that you can spread those deductions out over an extended period of years; the process gets more complicated from there. The concept is that the money that you put into a property stays there as asset value. The amount reduces as if you spend the asset over time. So a new water heater may cost $2,000, but you do not claim that cost up front. Instead, you take the depreciation over five years, writing off $400 each year. There are strict definitions and clearly delineated categories of what you can and cannot depreciate. A major repair might be a capital improvement on which you take depreciation. A lesser expense is unlikely to be sufficient, and you have to take it as a one-time write-off. Also, there is a list of specific expenses that are exempt from writing down as depreciation. The IRS sanctions an even more elaborate depreciation scheme called the Modified Accelerated Cost Recovery System (MACRS) that uses a formula to apportion depreciation rapidly at first and then at a gradually reducing rate over the full term. Again, you should speak to your certified public accountant before you make any estimates of investment cash flow. It is always comforting to generate a profit from your investments, but most investors seek to build long-term equity. When you become the owner of investment properties, your most stressful concern will be making enough income to cover the cost of your investment first, build equity, and then work to earn a profit on top. Depreciation is one way to increase your chance of producing a positive cash flow from your real estate portfolio; it is an excellent way to make your wealth to work for you. 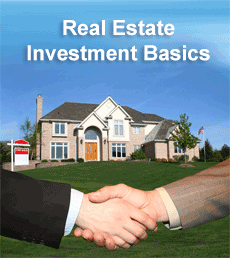 Your real estate broker and CPA are two professionals you will need to start building wealth. Talk to your Realtor and tax advisor to learn how depreciation will make your investment successful. Your credit history may seem like a vague and abstract stack of file entries to you. But to banks, the numbers and ledger entries are all they need or want to know about you. 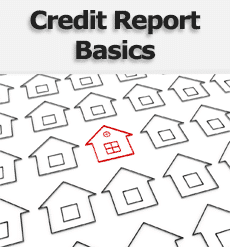 What lenders find in your credit report will determine how they respond when you apply for a mortgage. As it turns out, the way that you use your credit gives very distinctive clues about you. Your credit card usage shows how you are likely to behave when you pay a home loan. If you have credit cards and use them regularly, your behavior is likely to fall into one of three categories. You pay off your cards completely each month, a substantial portion of your balance or just enough to stay in good standing. In a 2013 study, TransUnion conducted a study that concluded there are three types of credit card payers. The TransUnion Study showed that these categories also indicated the likely future behaviors of borrowers. The study referred to consumers who made full payment monthly as transactors. The term that describes card members who pay only part of the balance or the minimum as revolvers. By analyzing tens of millions of consumer habits with credit cards, car loans, and mortgage payments, TransUnion found that revolvers have three times the mortgage default rate of transactors. Using credit cards will build your credit score precisely because the credit agencies want a detailed history of your activity. Charges and payments will show a statistically measurable record that shows the experts how you are likely to behave in the future. Lenders now use software that includes analytics that discovers information about transactors and revolvers into their lending decisions. This new approach is excellent news for many homebuyers. The metric will raise the number of applicants who win approval for the best terms and lowest interest rates. Borrowers who pay off credit card balances the most quickly will have the best access to home loans. 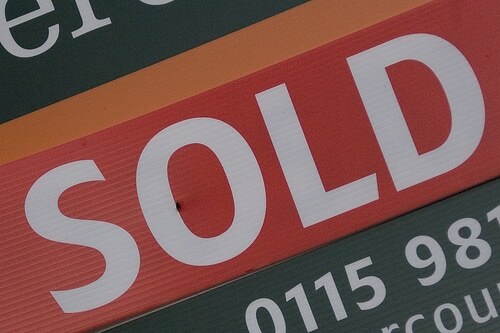 So what does this mean for consumers thinking of purchasing a new home or refinancing? Anyone who thinks they might wish to buy a home at some point in the future should craft their reportable credit activity accordingly. Become mindful of how you use credit. The earlier you can develop the practice of living within your means, making purchases on a credit card but paying off the balance every month. Using a credit card sensibly demands tremendous self-discipline. The temptation to over-spend will always be right there. If you can cope with this challenge, you can enjoy the benefits of the features that credit card companies promote, without the costs of interest payments. Whether you choose to make the sacrifices to develop a track record as a transactor or not, if you have any credit rating at all, there is a mortgage package that will work for you. However, it’s your card repayment behavior that will determine the terms that lenders offer when you apply for a mortgage. Trying to use a cash gift from friends or family as a down payment on a home is like rattling a can opener around cans of dog or cat food. Presumably, if you have the food you have the pet also and immediately get its full attention, whether you want it or not. In the case of the can opener, it’s your dog or cat that miraculously appears. Your furry best friend goes from sleeping in the other room to hungrily staring at you in seconds. Cash gifts passing into your bank account make your branch manager and the government wake up and take an interest. You will have to prove that it’s a gift, and the person giving it will have to prove they have it legitimately. You are going to get a lot of attention. When you are buying real estate, and you don’t have cash from selling your last home or out of your savings account, one of your biggest challenges is likely to be finding the funds for the down payment. When you finance a home purchase with a mortgage, your lender will expect that you contribute a share, the down payment. The convention in residential real estate is that the deposit is at least twenty percent of the purchase price. Government programs such as FHA allow you to put down a smaller deposit if you buy mortgage insurance for the exceptional amount. When you are purchasing real estate, you are journeying right to the heart of the financial system. You’re going to generate some serious scrutiny if you bring in any sources of funding that are hard to track. Banks and government agencies see transactions of every description; this includes some shady deals; if it’s possible, the banks have seen it all before. So, they have very carefully developed policies and procedures to ensure that they don’t inadvertently facilitate money laundering. Having someone who is willing to help you buy a home is a real blessing, it’s likely to be someone close like your parents or in-laws. This noble third-party still needs to prove to your lender’s satisfaction that they are helping with funds from a legitimate source. Some rules determine how much a person can give as a down payment gift for tax purposes. Currently, one person can give $14,000 per year, and a couple can give twice that. If your benefactor agrees to it, the best course of action may be to accept the cash early, before you begin the pre-qualification process. When it comes time to give the finds to the escrow company, you can then do so from a paper trail of regular bank accounts. Your lender will happy, and you are more likely to get a loan on terms you like, and then you can close on a home, and collect the keys. All that remains after that is to open a can of tasty treats for your cat or dog, a bottle of a favorite beverage for you, and celebrate.